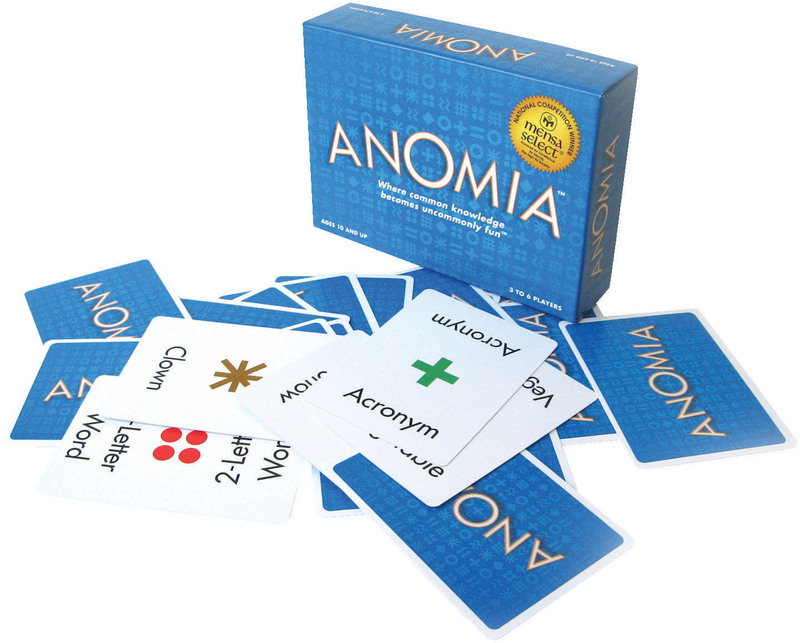 ANOMIA | Ooh, my favorite! Brother Thani and Mari were up here visiting last week and once again they introduced me to a really cool new game. This one’s called ANOMIA. (The previous ones are here.) A quick-thinking, brain-building, word association game that is so much fun you’ll be laughing at each other as much as you’ll be flexing the old noggin. How it works: Each card has a symbol and a category. Each player takes turns flipping a card from the deck. Once two players have cards with a matching symbol the first person to shout out an answer to the category on their opponents card wins the card. 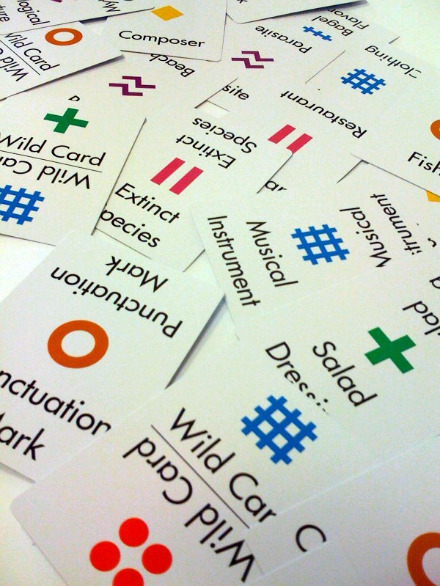 Add in the Wild Cards that pair unexpected symbols and it’s even more challenging. Then consider two or more opponents and realize all the symbols and categories you have to keep track of and it’s insane! I pretty much sucked so I’m ordering a set for us now so that I can become a more formidable opponent. Playing with Andrew and his photographic memory will be a steep learning curve though.